Uptown Chicago, USA--- World Civility Spokesman, Dr. Clyde Rivers, met with Alderman, James Cappleman of Ward 46 in April 2017, regarding the issues of violence and crime and his efforts to take peace into his ward. Since meeting with the alderman and discussing the challenges within his ward, World Civility Spokesman, Rivers, has begun working to put together a Golden Rule strategy that will help turn around the Wards’ problems of violence. 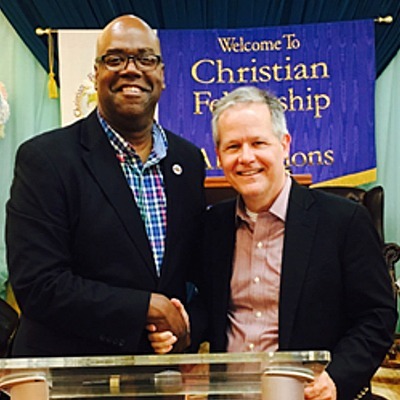 In attendance at the meeting with Alderman Cappleman was Pastor Olusola Abraham Adesayo who is Head Pastor of Christian Fellowship For All Nations, and Dr. Gladys Loggin, Chief Executive Officer of USA Africa Economic and Business Development Center. These prestigious individuals will be working with World Civility Spokesman, Dr. Clyde Rivers to establish a new culture over Chicago. Dr. Rivers believes every life is valuable and created for a contribution to our world and that without peace, that contribution can be lost. If that contribution is lost, our entire world loses. 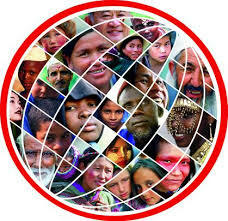 iChange Nations™ is the World’s Largest Honoring Network, establishing Cultures of Honor around the world. ICN has fostered a movement that is bringing back honor to the world. They look to honor people at global, national, state and community levels, who have made positive contributions in helping mankind. Golden Rule Dialogue and honoring others are working hand-in-hand to change the world. iChange Nations™ is also a professional institution that builds international Statesmen by equipping, mentoring and training highly esteemed individuals who have the desire to change nations throughout the world. This organization is seeking to bring global awareness by strategically helping countries educate, train and support a nation-building process that is designed to improve the dignity and betterment of human life. This international platform focuses on establishing effective relationships; while helping people understand the value of honor and basic human rights.